Just in time for the Superbowl, I have a new sports-themed freebie for you. 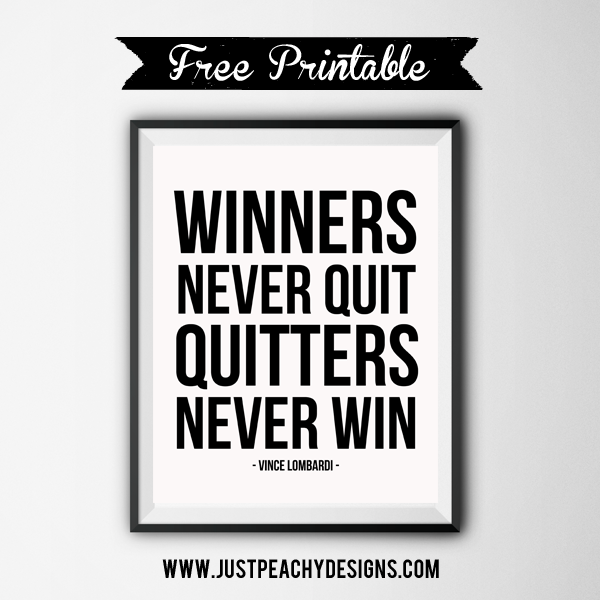 This 8x10 inch printable, featuring a quote from the great American football coach Vince Lombardi, is perfect for the little athlete in your life - or really anyone needing a dose of inspiration. Just click the image above to download. Enjoy!